The Department of Criminal Justice, established in 1969 as Justice Administration, has more than 1100 graduates who have, through their careers, made significant contributions to their communities and professions. 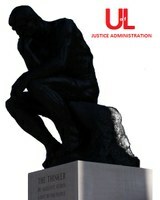 The Department maintains an active alumni through leadership provided by the Criminal Justice Alumni Board. The Criminal Justice Alumni Association engages in a number of annual activities. These include fund raising, sponsorship of the Kenneth R. Nally and Kenneth Marshall awards, organizing and hosting the annual Homecoming Tailgate and, in conjunction with department faculty and staff, sponsorship and hosting our graduation reception and annual career fair. The Department of Criminal Justice is proud of the many successes of its alumni. We would like to share those successes and encourage you to continue to be involved with your alma mater. We have numerous ways you may contribute to our program and to the future success of our current students. Join the Criminal Justice Alumni Board. Current Members of the CJ Alumni Board are John Balenovich, Megan Conlen, Patricia Hammons, David Munden, Charles Riggle, Judge Jim Shake, James Wagner, Dr Joseph Grant & Dr Deborah Keeling. Contact Ms. Ginger Brown via e-mail or 502-852-2686 for information on the next meeting date and time. Participate in the Criminal Justice Internship Program or Shadowing Program. The Department of Criminal Justice offers an active and broad-based internship and shadowing program for undergraduate students and an internship option for graduate students. Being a mentor through an internship or shadowing program is a challenging and rewarding experience. Your participation lets you share valuable experiences with students interested in pursuing similar professions. These programs also have related benefits for the agencies involved. Internships provide agencies with personnel to complete tasks and projects that can not be completed by existing paid full-time personnel. Internships and shadowing programs also provide agencies with the opportunity to informally screen and evaluate future applicants and to recruit qualified and competent personnel.